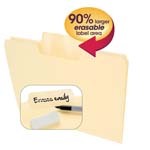 Erasable SuperTab® File Folder Labels have a special erasable surface that makes it easy to revise or reuse labels and file folders. 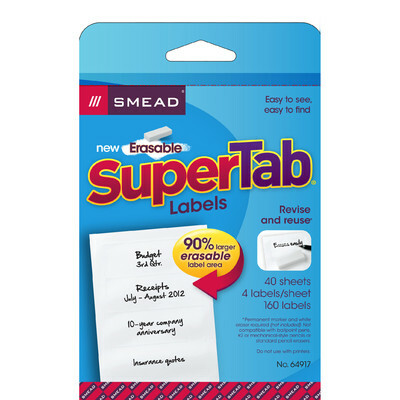 The labels are oversized to fit SuperTab products. 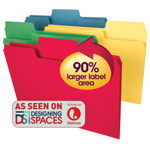 The labels are 90% larger than standard labels, so you can add use larger text or add more lines of description. 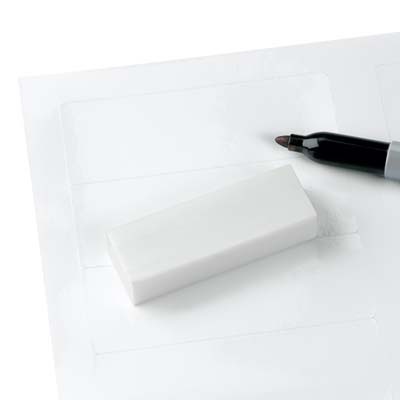 Write directly on the erasable surface with a permanent marker and easily erase with a standard white eraser. 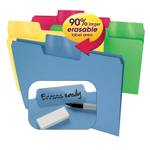 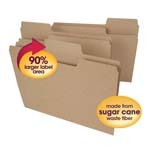 An eco-friendly, reusable solution for your filing needs. 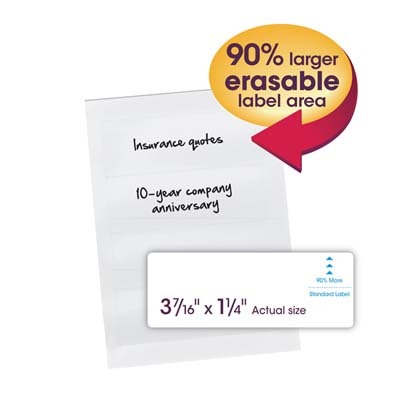 Not recommended for use in printers.